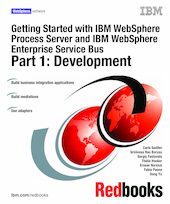 This IBM Redbooks publication provides developers with information about building and testing applications for IBM WebSphere Process Server and IBM WebSphere Enterprise Service Bus. It helps developers with the tasks of creating business integration applications and mediations. It also includes information about the use of adapters.